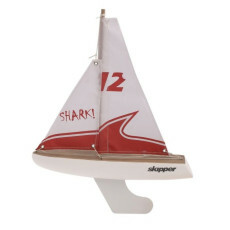 Discover the simple pleasures of traditional play with the beautiful wooden toy sailing boat from Skipper. 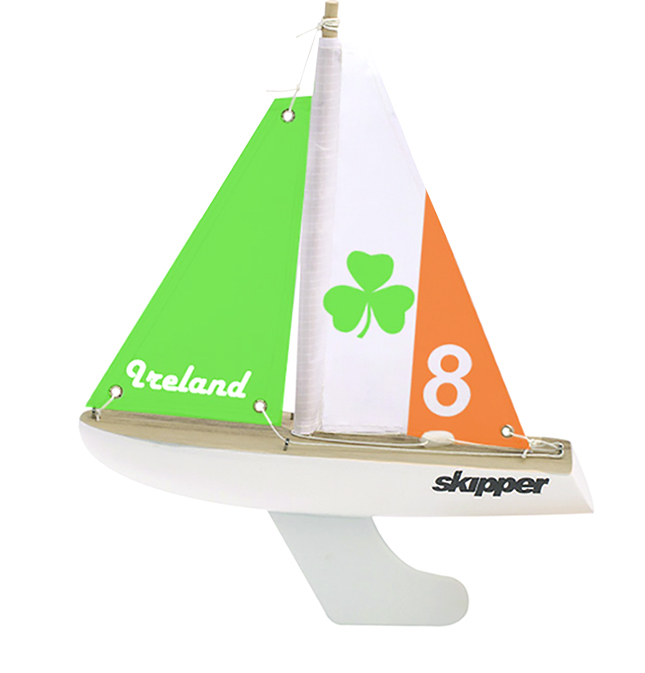 Made from genuine sail cloth and with adjustable rigging to harness the wind, this distinctive design proudly displays the Irish tricolour flag across its two sails. 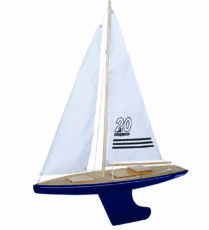 With its lined varnished deck, white wooden hull and steel keel, this handmade yacht is sure to stay upright. 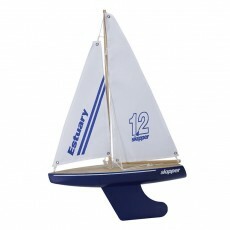 This smaller size yacht is ideal for sailing on shallow water, small ponds, even in the bath!